OHIOPYLE, Pa.: It’s no surprise that Cucumber Falls is one of the most-photographed waterfalls in western Pennsylvania. The picturesque and very accessible 30-foot waterfall is tucked in a wooded gorge that drains into the Youghiogheny River in the Laurel Highlands of southwest Pennsylvania. 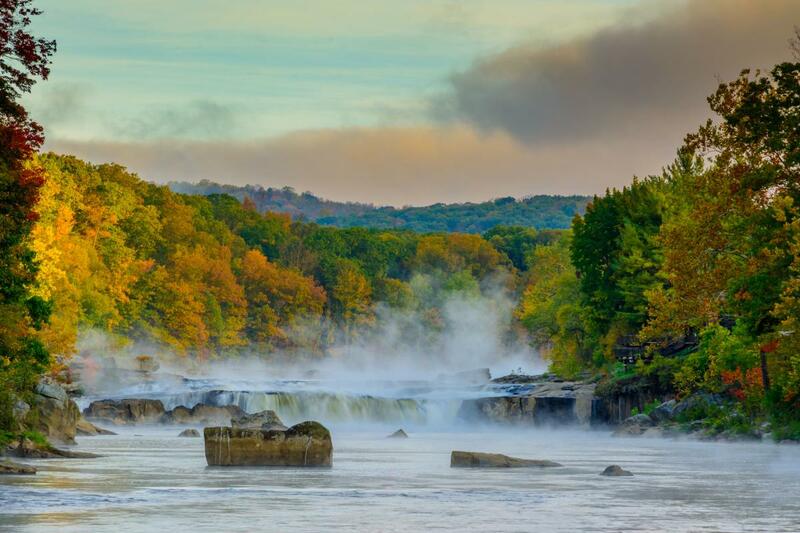 Ohiopyle State Park is a popular playground for whitewater kayakers and rafters. A 7-mile run on the Youghiogheny from Ohiopyle to Bruner Run is one of the busiest sections of whitewater east of the Mississippi River. The river features a dozen bouncy Class II and Class IV rapids. Rapids are rated on a scale of Class I (the easiest) to VI (the most difficult). It’s also a bicyclists’ park with 27 miles of the Great Allegheny Passage, similar to Northeast Ohio’s Towpath Trail.